“MDC helped me to become a better leader,” said Ramage, 27, who was recently promoted from staff/charge nurse to associate nurse manager, working in the emergency room at Jackson Memorial Hospital. That advancement meant transitioning from overseeing a shift of 15 to 20 nurses to her new current post in which she helps manage more than 230 nurses. Ramage has earned two degrees from MDC. In 2007, she earned an Associate in Science in Nursing. 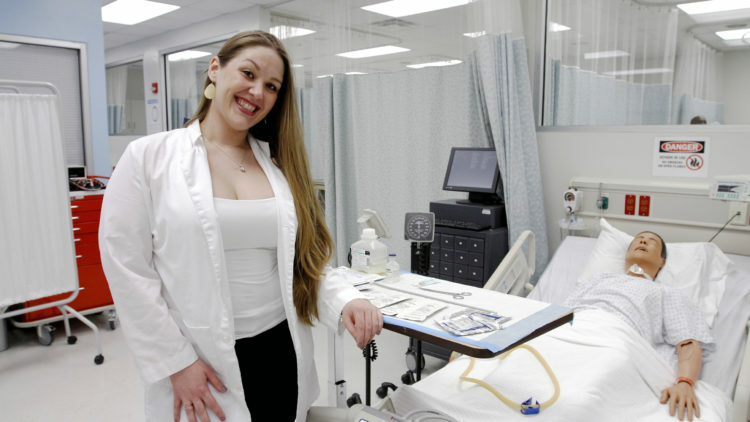 That degree helped her start her career as a registered nurse at Jackson. She quickly garnered praise for her work. Among other honors, she received the Best Practice Award from the South Region Florida Nurses Association. “It was then that I decided to further my education,” said Ramage, who went back to MDC and completed a bachelor’s degree in nursing, finishing with an impressive 3.89 GPA. Ramage said she has put much of what she learned at MDC directly into practice at Jackson, which she has found very rewarding. “In nursing, you have the opportunity to change lives,” Ramage said. “And, as a manager, I can help others become better nurses by teaching them to have the same drive, passion and vision. Undoubtedly there will be. Ramage plans to complete a doctorate in nursing and share her growing expertise with others.